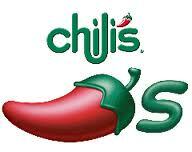 Chili’s Offers 2 for $20 Dinners! Now at Chili’s you can get dinner for two for only $20!! Share an appetizer and two full-size entrees. Selections include one of the following appetizers and two of the following entrees. More details on the two for $20 Chili’s menu at this Chili’s website. If you don’t see the 2 for $20 menu, click the “Menu” button on the far right of the page and scroll down to select “$20 Dinner for 2?. Get Doggy Deals for FREE with DoggyLoot! Free Sign up! 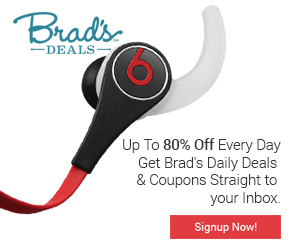 Sign up and receive emails with the latest doggy deals. Doggyloot helps dog owners discover the best chews, toys, treats, accessories, and more for their pups at unbeatable prices. All of their deals are hand-selected and pup approved – man’s best friend deserves the best that man can make, without breaking the bank. Doggyloot runs several deals each day on dog toys, treats, accessories and more, all at 25 to 75% off with FREE SHIPPING! Click here to sign up for free today! EverydayFamily Offers Free Registration and a Chance to Win Free Diapers for A Year! EverydayFamily is an online home for parents who are looking for information, support, and fun as their families grow. Member provided information allows us to customize the site to meet individual needs and interests, with tips and tools; member forums and groups; and articles and videos tailored to a multitude of ages and stages. Of course, the family we serve goes beyond the site, to the global family we all share. EverydayFamily supports families everywhere in cooperation with charitable organizations on local, national, and global levels. Registration is free, so sign up today & see if you’ll win some diapers! FREE Brand Name Samples at FreeFly’s!! Cheap is good…but FREE is better! Join FreeFly’s and get FREE samples of name-brand products! We all love free stuff, so get yours today! 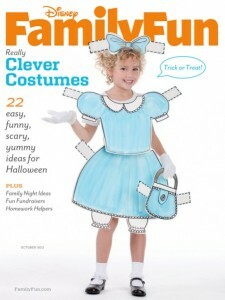 Disney’s Family Fun Magazine – Only $2.99 for a 1 Year Subscription – Today Only! Deal of the Day – Family Fun Magazine Just $2.99 for 1 Year at Best Deal Magazines, October 22nd Only – Use Coupon Code 15CJ1026 and Save an Additional 15%! BaByliss Pro BABP2800 Porcelain Ceramic 2000-Watt Dryer Only $55.45 Shipped! Save 60%! Regularly priced at $139.99, you can purchase this incredible hair dryer for only $55.45 + FREE Shipping. That gives you a savings of 60%! BaByliss PRO Super Turbo Professional Commercial Grade Porcelain Ceramic 2000 Watt Hair Dryer with ionic technology emits negative ions eliminate static, reduces drying time. Ceramic generates far infrared heat to protect hair’s luster. Amazon prices can change at any time. Please verify price before ordering! Click here to shop and save today! FREE Samples and Coupons at Deals For Mommy! We all love free samples and coupons!! Now for a limited time, sign up for Deals For Mommy and receive all the greatest local and national deals on the web. No matter how you put it, free is free! Sign up today by clicking on the photo or this link! 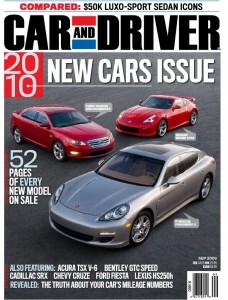 Car and Driver Magazine ~ Only $4.99 For 1 Year Subscription! Today only, you can subscribe to Car and Driver Magazine for only $4.99 a year! Simply use PROMO CODE: 6642 at checkout for savings to apply.